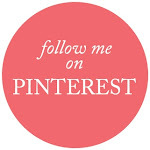 The Country Scrapper: Wednesday Be Inspired! Great card!! Love the lace detail. Beautiful card!!! Love how you worked all the different "items" into one card and the directions so easy to understand. I think digital stamps are a great idea, I've never used them but I think I'll give it a try. First on my supply list has to be the Cuttlebug. this is so beautiful, love the palette & your beautiful details! 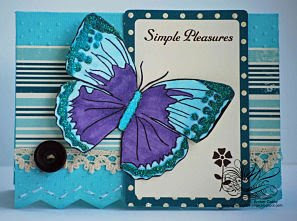 Love the blue and purple with a touch of glitter on your butterfly stamp. Such a marvelous card!!! I love the colours you've used here Amber - beautiful. And perfectly finished with the lace, button and stitching. Gorgeous! This is so pretty1 i love the colors, and the bit of trim you added to it! Great job with the challenge this week! Beautiful! I have been wanting to play with this colour combo for a few days now, maybe I will today! Ohhhh, this is sooo beatiful. It makes me want to go create something with that pretty butterfly. Beautiful...I have never used digital stamp art...cool idea. Beautiful butterfly card! Love the colors. Jumped over from the vp boards to say hi! Oh what pretty colors! !..love the added touch of lace!! Gorgeous Amber and that butterfly is awesome love love love it. Love what you did with the challenge, Amber! Love that butterfly! So beautiful Amber! I love how you stitched through the holes in the MS punch! Beautiful card Amber, I love the coloring on the butterfly! Awesome card, I love the butterfly and the stickles.